They are all wonderful for very different reasons – the Dennis Coffey track is a staple of hip hop breaks and beats, being sampled numerous times, and has Coffeys fantastic guitar all over it. Coffey was a member of the legendary Motown studio band ‘The Funk Brothers’ and also played on Soul classics such as the Isley Brothers’ “It’s Your Thing” and the sublime “Band Of Gold” by Freda Payne. ‘Scorpios Theme’ is one of the best of Lalo Schifrins’ numerous contributions to film scoring. Considering the guy contributed music to ‘Mission Impossible’, ‘Bullitt’ and ‘Enter The Dragon’, this makes ‘Scorpios Theme’ one of the tighest, funkiest riffs EVER. Schifrin also released an impossibly funker version of the ‘Jaws’ theme that got into the top 40 in Britain sometime in the 70’s. 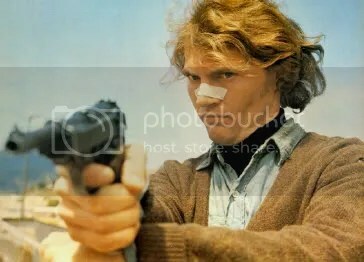 His scoring of the Dirty Harry movies, particularly ‘Dirty Harry’ and ‘Magnum Force’ evoke the gritty, tough, murderous paranoia of the films, and are highly recommended. ‘Scorpios Theme’ is the signature tune for the main protaganist in the first Dirty Harry film. ‘Scorpio’ is played with menacing ease due to a career defining performance from Andrew Robinson (see the photo at the top of the post for Scorpio in all his glory). The character was loosely based on the Zodiac killer, who terrorised San Francisco (as does Scorpio) in the late 60′ and early 70’s without ever being caught. and it reminds me of the ‘Lone Wolf & Cub’ manga series and the ‘Babycart’ films. I intend to write something about both of them at some point in the future. I think, as a Scorpio myself, that I can be pretty proud of the fact that there are at least 3 marvellous tracks dedicated to my star sign. I don’t think the Leos, Capricorns or Librans can boast an as impressive tracklisting…. A groundbreaking television show – a 40-something female cop (played by the brilliant Angie Dickinson) in a very male environment, probably paved the way for the likes of late seventies shows such as Charlies Angels. For me, it’s all about that theme tune, which is up there with the best. A track thats been used several times over the years (RZA used it on Masta Killas brilliant ‘No Said Date’ album). One of the sites I link to , Diddy Wah, has the theme in a ‘disco’ mix, though I don’t think its neccesarily very disco (although it (Police Woman Theme) seems to get labelled as lounge as well, which I don’t think is appropriate. A fantastic intro to a fantastic show of the 70’s. 1) One shot of the control panel depicted for the crashing aircraft in the opening sequence is actually stock footage of the controls for a musical synthesizer, and the settings for ADSR envelope can be clearly seen. 2)The aircraft seen crashing in the opening sequence of the show is real and the dialogue spoken by actor Lee Majors during the opening credits is reportedly based upon communication prior to a crash that occurred on May 10, 1967: (“I can’t hold her; she’s breaking up! She’s breaking—”). Test pilot Bruce Peterson lost an eye due to infection following the crash, but likewise also miraculously survived what appeared to be a fatal accident even though his lifting body aircraft hit the ground at approximately 250 mph (400 km/h) and tumbled six times. 3)The show was based on a novel by Paul Caidin, entitled ‘Cyborg’. The opening sequence of the television show closely follows the Paul Caidin story of how Steve Austin became the Six Million Dollar Man. 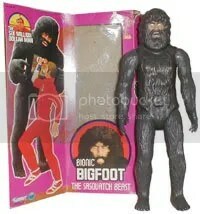 More 60’s television. I have fond memories of all these shows (Batman, Green Hornet, Time Tunnel) from the 70’s, when they were Saturday morning or tea-time viewing. The Time Tunnel was really visually arresting, and the effects still stand up today. 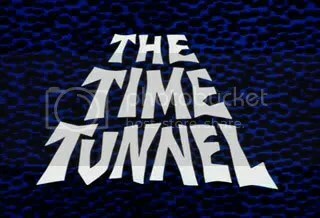 This post is a bit clip heavy, but as I have stated, ‘The Time Tunnel’ was a very visual show, with some nice pop-art & psychedelic stylings. Very much a period piece, but unlike some other 60’s sci-fi, this still looks great.